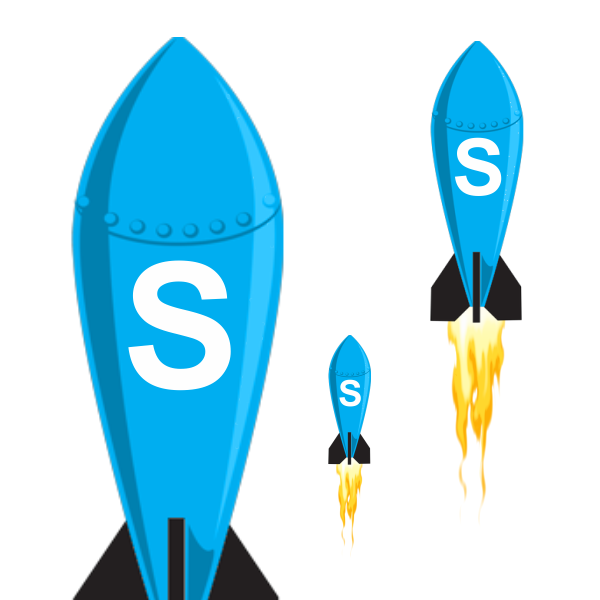 SkypeLauncher is a free computer program, that is used for launching more than one Skype at the same time on the same computer. Of course, you need to have Skype installed, in order for it to work. How to disable the ads in Skype Launcher? 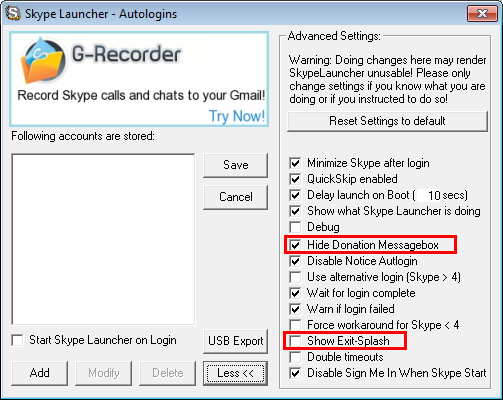 In order to disable the little ads that show up at the start of the program, just open the file SkypeLauncher_Config.exe, click on More >>, uncheck Show Exit-Splash and check Hide Donation Messagebox. Press the X at the top right and click Yes on the next message to save the changes. There is also a way to start more than one Skype without using SkypeLauncher. To find out more, click on the first blue button in the right top area of this page. I want the old skype version but since the latest win update it doesn’t work anymore. Why is it such a problem if somebody doesn’t want the new s**t versions? Hi. The old Skype (3.6, 3.8) does not work with SkypeLauncher and Win 7, yes. But it works by it self. You can’t start two though. You will need at least 4.0 for that. There are FAQs after the post too. Let me know if you still have any questions and tell me your operating system and what is the problem exactly, what have you tried and so on.